I need to keep some data (strings) with a possibility to add some more data there (it is unknown in advance; the code will expand). Further, these data (strings) will be used for WordPress users (users will have setting skills: for example, a user is able to cook, wash, clean). In order to avoid writing a bunch of code and to be able to create, modify and delete these skills (the number of which is expected up to 2000), I made a decision to use WordPress taxonomy for this purpose. Advantages: it is very easy to register a taxonomy, so we immediately get a table with pagination and search; the ability to add, change or delete data, as well as the ability to expand the data with term metadata. Moreover, we get a whole package of WP functions to display and manage our taxonomy elements. If, for example, you need to keep the data in a separate table or in WP options, managing all of them requires writing additional code for everything: from the creation of the WordPress admin page to the functions for outputting our data. Still, utilizing the taxonomy registering we get all this at once. Disadvantages: unused fields in the taxonomy table, but this is a trifle, so actually there are no disadvantages! The final task is creation of taxonomy that is not tied to a post type and has its own menu item in the admin panel. As we can see, everything works fine, but when we enter the skills taxonomy page, we are in the "Posts" menu item. 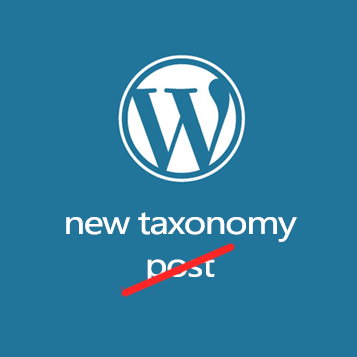 Now the problem is in disabling "Posts" menu item and make active menu item of taxonomy. There are no any hooks in WordPress to do it simply, so we need some hacks. My task required me to hide unnecessary fields and add a field to bulk add skills.